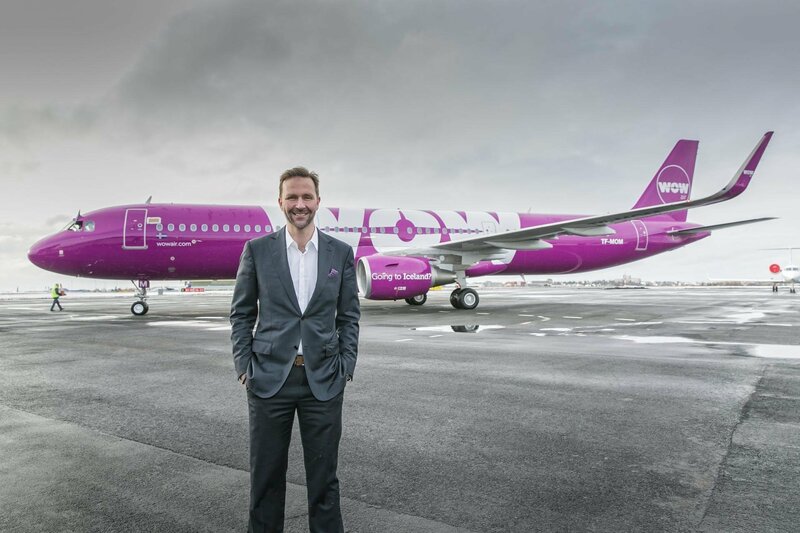 We first became aware of WOW air several years ago because of their extremely low fares between Iceland and mainland Europe and then again when they started offering $99 fares from select US cities to Iceland. Recently we had the opportunity to interview their founder and CEO Skuli Mogensen. 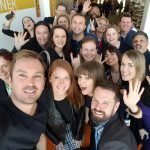 He is an accomplished and creative individual – here are several questions we asked him about WOW air and Iceland. Q. Introduce yourself and tell our readers a bit about yourself. My name is Skuli Mogensen, founder and CEO of WOW air. Prior to founding WOW air I was an entrepreneur and investor, primarily in the Technology, Media and Telecom Industry in North America and Europe. I co-founded and was the CEO of OZ Communications, a mobile software company based in Montréal, Canada. I spend as much time as I can on sports and outdoor activites and love to combine the two in the amazing Icelandic nature. WOW air has promoted a healthy lifestyle, for example with the WOW Cyclothon, which is an annual, unique 1332 km bike race around Iceland open to everyone with the proceeds going to a good cause. Q. How did you decide on the name, WOW? WOW is a universal positive saying and I believe it captures the best that we stand for and also what Iceland stands for. Also, when you turn WOW upside down it says MOM. The mother is a cherished family member and we at WOW air like to think of ourselves as being a part of one big happy family and most of our planes have names like Dad, Bro, Sis, Gpa, Gma and Luv. Q. Our West Coast USA readers and travelers will be especially interested in your affordable daily flights to Europe – these are relatively new offerings for Wow Air, tell us a bit about these particular flights. Since we started flying to the West Coast last summer we saw a great response in the US market. People were obviously waiting for a low cost option to travel across the Atlantic. We therefore decided to up our game and will as of next spring fly daily from both San Francisco and Los Angeles to our twenty-two destinations in Europe, via Iceland. We offer extremely low prices and our $99 flights to Iceland have proven to be very popular and gained a lot of attention, although seats at that price are limited and restrictions may apply. Q. The chatter among travelers the past few years has been about Iceland. I think a big part of this is based on the fact that you have helped make Iceland a destination that now can be affordably reached. How are you able to keep the costs of tickets so low – especially on the longer haul flights? There are a number of things that contribute to our low prices. We founded WOW air as a low cost carrier from day one and as such are structured much more efficiently than most older carriers. We use technology wherever we can to optimize our operations but also not least in how we reach out to our customers. We are for example very conscious of the fact that you get what you pay for. Some people just want to cross the ocean the cheapest way possible and WOW air provides them with that option. 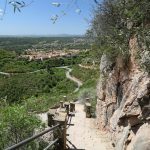 Others want a little more extra and by paying a moderate fee one can choose what that little extra is, whether it´s a check in bag or extra legroom. This way the basic cost of the ticket is held to a minimum but flexibility is provided for all. Also the fact that we operate brand new airplanes means that they are more fuel efficient than older aircraft. It all adds up. Q. 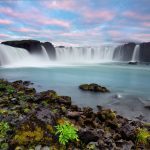 Readers may know about your low cost flights but they may not know that Wow also offers tours of Iceland through Wow Travel (your Iceland based travel agency). Of the diversity of tours you currently offer, which one is your favorite? This is like asking me to choose between my children. 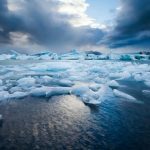 Iceland is in itself an amazing destination with a lot to offer, both for people how like extreme adventures like extreme skiing, glacier hiking or snowmobiling and also for people just seeking some peace and quiet. In short I would say anything outdoors in Iceland is a must. Q. Wow air has seen remarkable growth in such a short amount of time – was there a point when you did something that allowed the company to really start growing – to “take off”, so to speak? When we started flying also to North America and where able to see the feedback and success of connecting passengers across the Atlantic via Iceland we knew we had a successful model. Now we are running as fast as we can to expand on that model even further. Q. What is one of your best travel tips as it relates to either airports or planes? I always enjoy just getting some rest and catch up on my reading. Q. I read that one of your hobbies is extreme skiing. Tells us about this passion and how you first became interested in this. I grew up in Sweden and have been skiing ever since I can remember with friends and family. There is amazing world class heli-skiing in Iceland as well as some fantastic skin skiing as well that I can highly recommend. Q. What are your top five fun activities to do in Iceland? 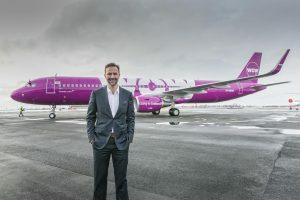 Skúli Mogensen is the founder, CEO and sole owner of WOW air. 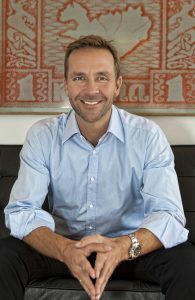 Prior to founding WOW air Skúli spent 20 years as an entrepreneur and investor, primarily in the Technology, Media and Telecom Industry in North America and Europe. He co-founded and was the CEO of OZ Communications, a mobile software company, while still studying philosophy at the University of Iceland. Skúli grew OZ to over 200 employees and sold over 100 million copies of its messaging software to all the major handset manufactures and mobile operators before selling OZ to Nokia in 2008. Skúli is an active patron of the arts and has sponsored a number of exhibitions and artists in Iceland over the years and continues to do so via the WOW air foundation. Other hobbies include extreme skiing, cycling and triathlons. Skúli created the WOW Cyclothon, which is an annual, unique 1332 km bike race around Iceland, raising capital for Save the Children Iceland. 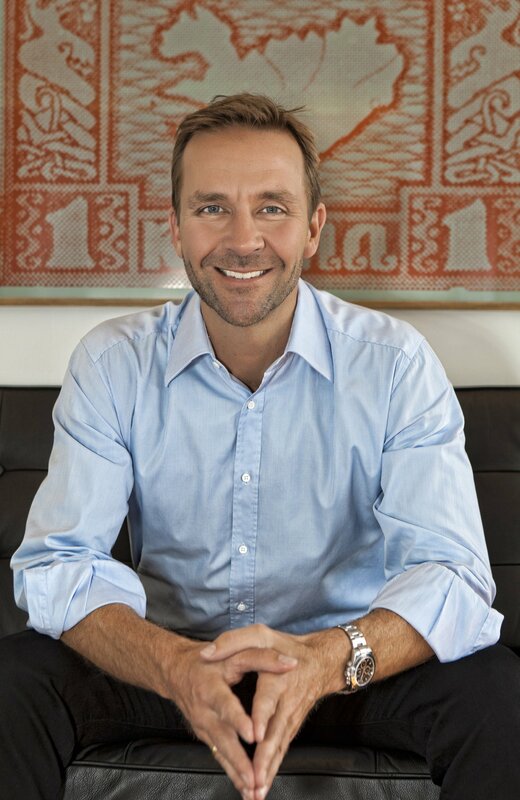 In 2011 Skúli was awarded The Businessman of the Year Award in Iceland. I took Wow Air from Germany to Los Angeles and I was disappointed with the flight and the company. They really make you put your carry on luggage in a box at the Check In Desk to check if it is the right size because they dont use regular sizes and want to make some extra money. The size of your regular carryon luggage is not allowed on wow air flights unless you pay an extra 40 Euro. This was also my first long distance flight without a screen to watch movies, check the flight route, etc. The prices for food and drinks are just ridiculous. And as a Travel Blogger I was on so many flights in the last 2 years and this was NOT A WOW Experience! I also had a lot of trouble with the customer service and their call center in India. LOW Price does not stand for High Quality with this Airline! We will fly WOW in the future as well as visit Iceland but waiting for a NASHVILLE route as BNA is looking to add international and soon to grow a new added building for international. We need a way to see Europe as well as visit Iceland and WOW could really WOW music City!! Hi Ina – thanks for sharing your comments. There are definitely a few airlines that are very strict on luggage – I’ve flown some of the budget ones in Europe and they do this also. I think Spirit in the USA also was quite strict when I flew them last year. 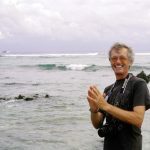 I am familiar with your travel blog – also good to hear feedback from other travel bloggers 🙂 I keep hearing lots of opinions re people who have flown WOW – I look forward to trying them myself at some point. Wow airlines is the Worst airline possible with very Poor customer service. I was stranded in Iceland without my luggage and no one made an effort to look for it. I spent a few thousand dollars to replace my winter gear and hundreds of dollars of phone bills to call the various luggage departments they have. The San Francisco office did not even answer their phone. I could have flown first class after everything was said and done.